There’s been quite a lot of stories about Pinterest‘s rapid growth, and how the social media world’s darling is now becoming an interesting marketing and business tool. And then there’s the stories about the site that just make you smile. Jonathan Levy, Director of Digital Strategy at Rodale Grow, discovered a great use for Pinterest that goes far beyond just bookmarking your favourite images from all over the web. “I was sitting with one of my coworkers, Nick McGlynn, figuring out how we can use Pinterest to help our clients. As we were exploring the features we realized that people are assembling beautiful boards but no one was unifying their boards with a single image. It took us some tinkering to figure out how to properly size, cut and upload the images to produce the look we wanted. Once we got the process down it was easy. 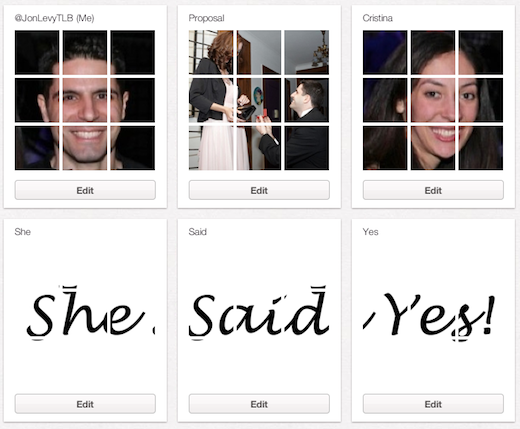 My “She Said Yes!” project took about an hour. I thought my fiancée would love that I used Pinterest considering it was Valentine’s Day and so many of her girlfriends are on it. It was a fun way to share a special moment in a form that wouldn’t disappear in a news feed. 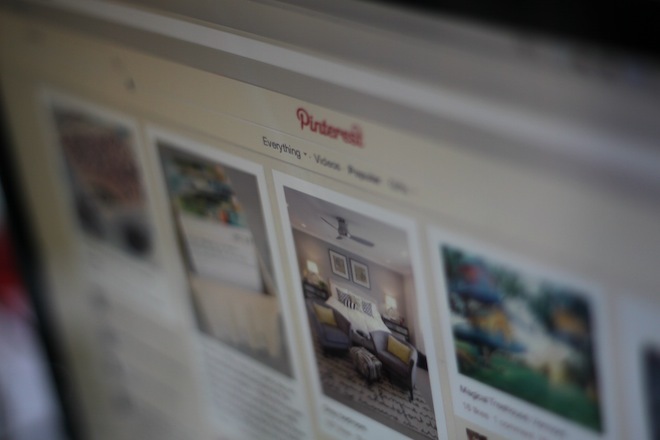 My team at Rodale Grow is very excited about the potential of Pinterest. In fact, hardly a conversation goes by without discussing the potential and its applications for our clients. The boards users have been pinning are stunning, and the interactions are overwhelmingly positive…I think we are just seeing the tip of the iceberg when it comes to Pinterest. And of course a huge congrats to the couple!